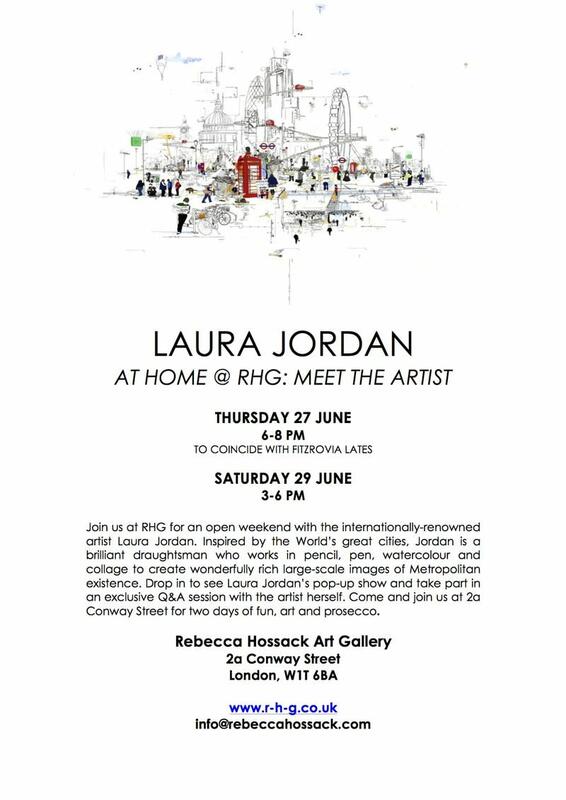 Join us at RHG for an open weekend with the internationally-renowned artist Laura Jordan. 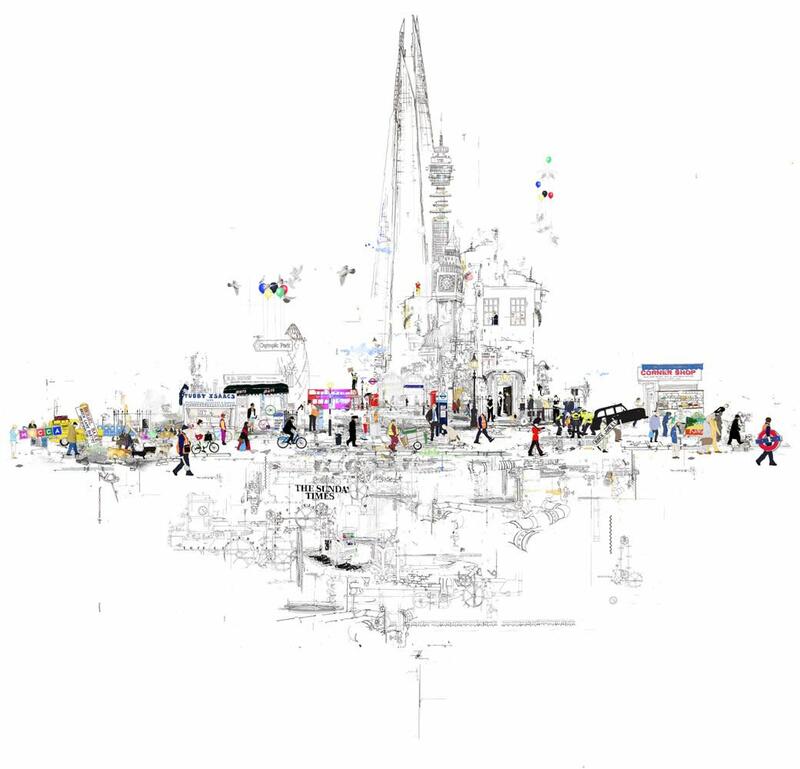 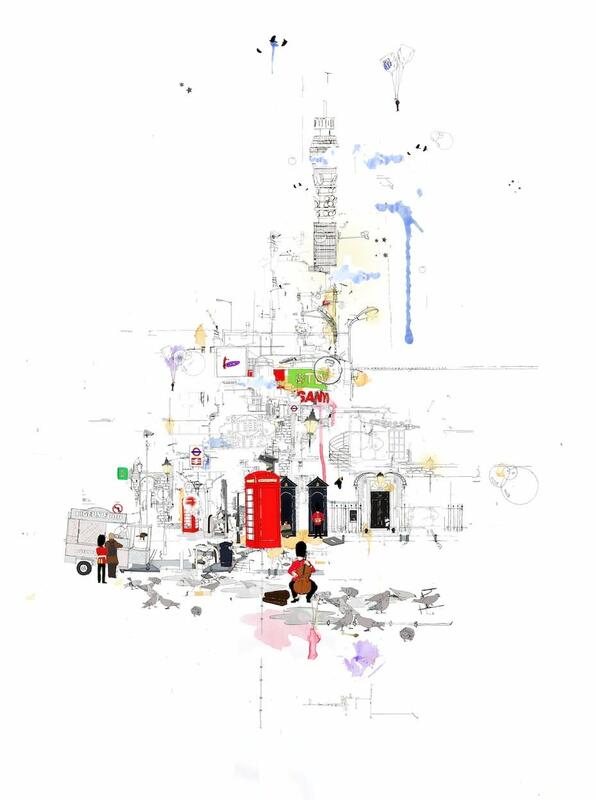 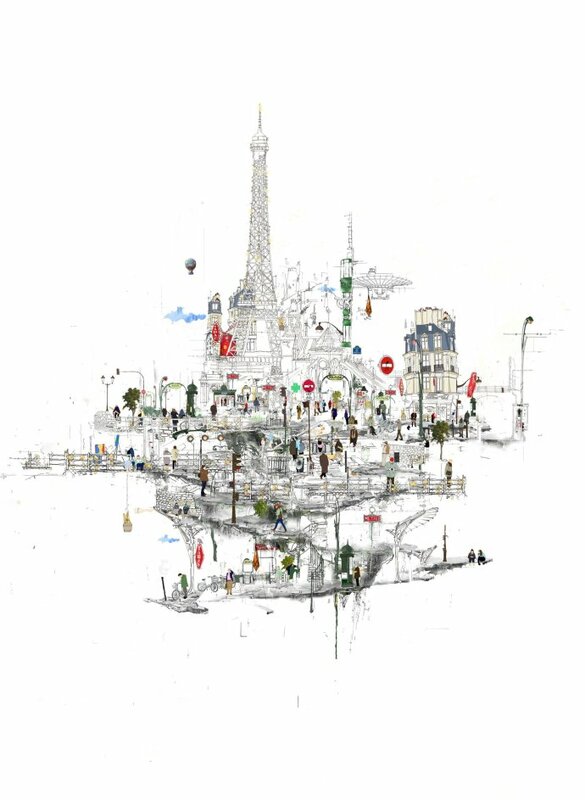 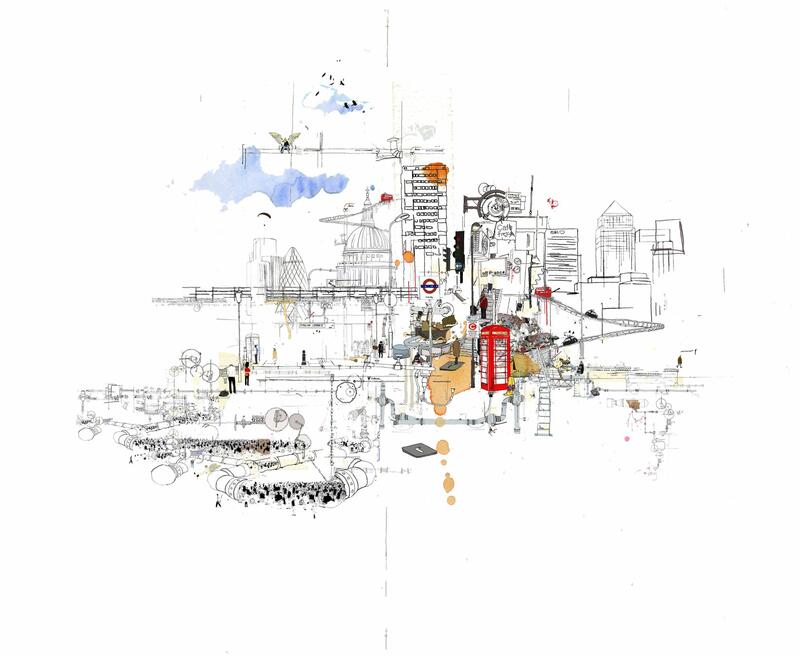 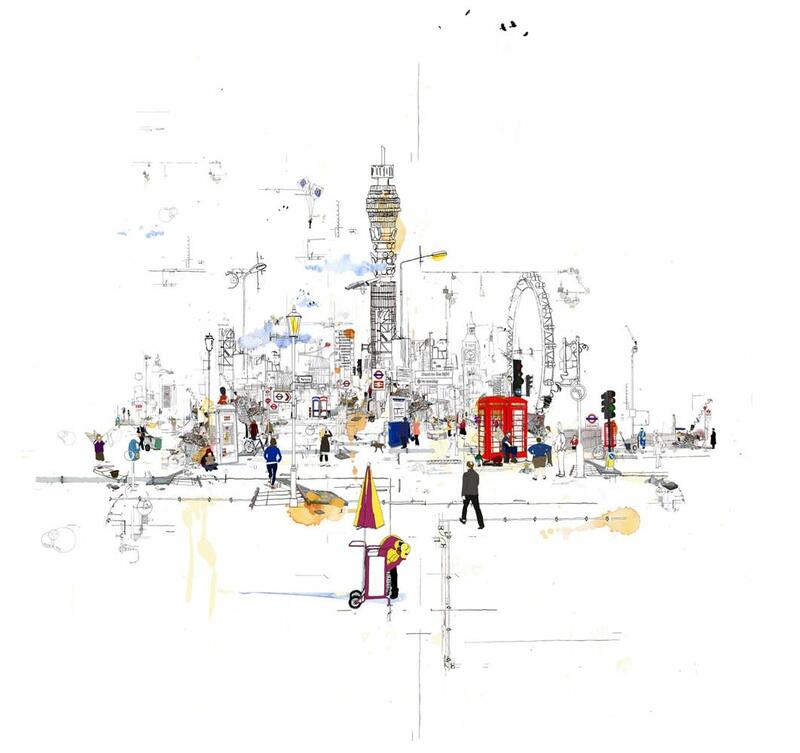 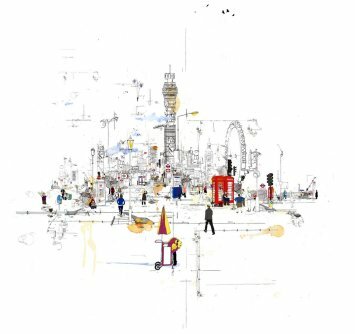 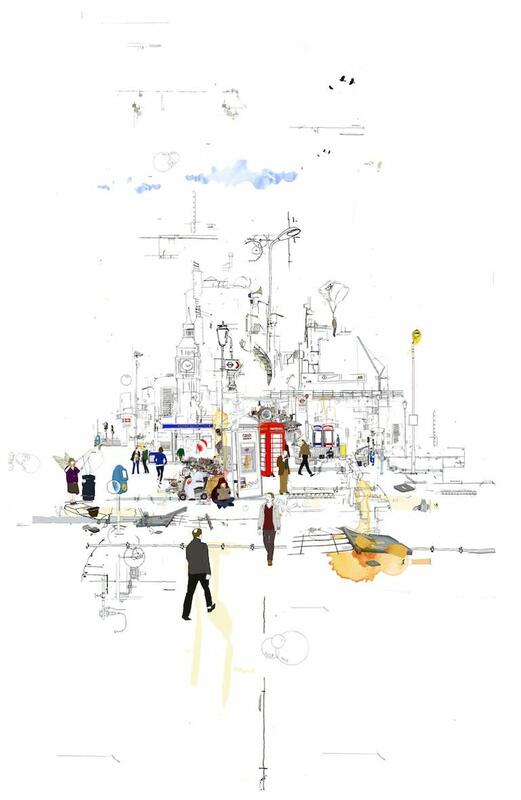 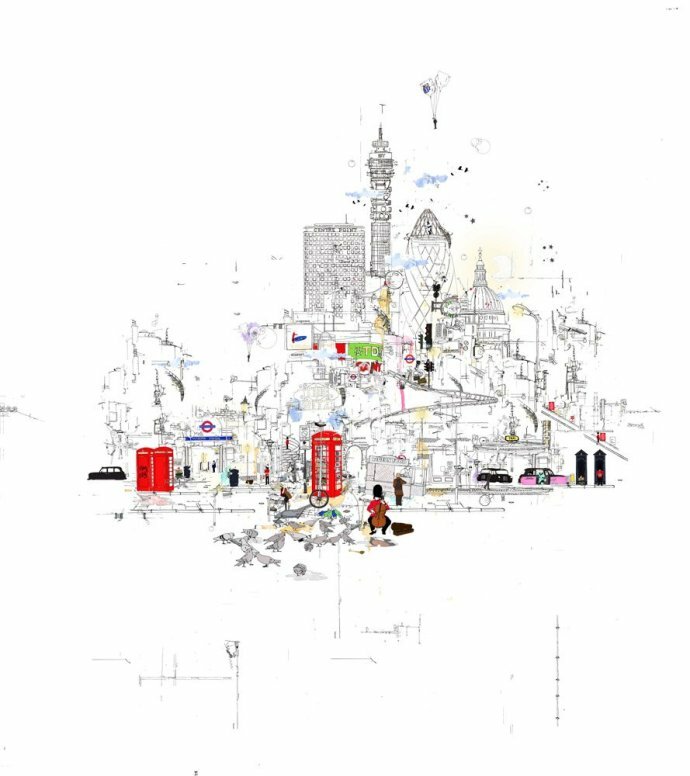 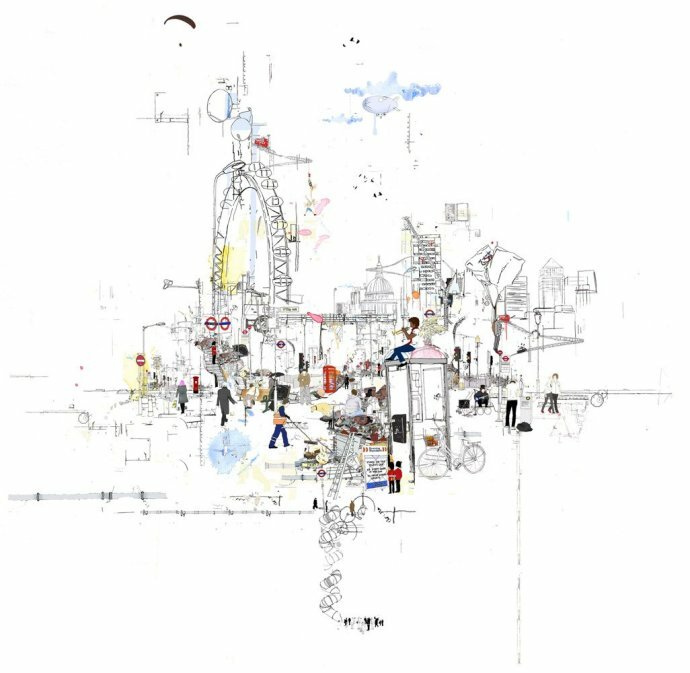 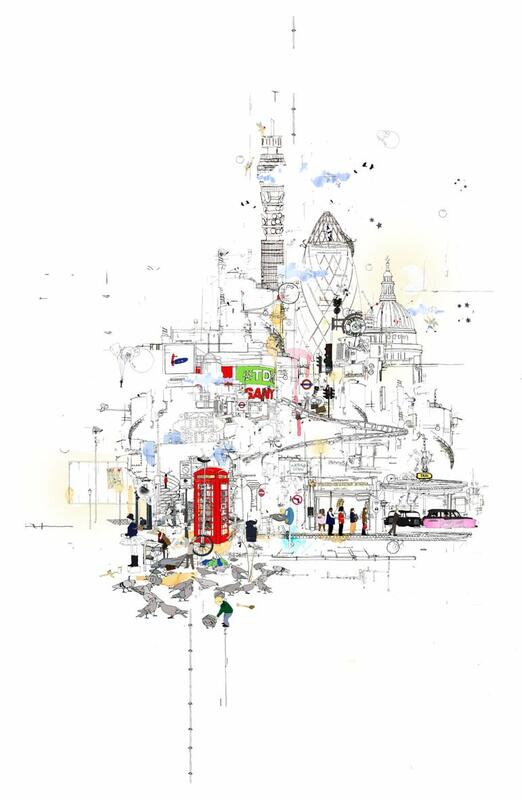 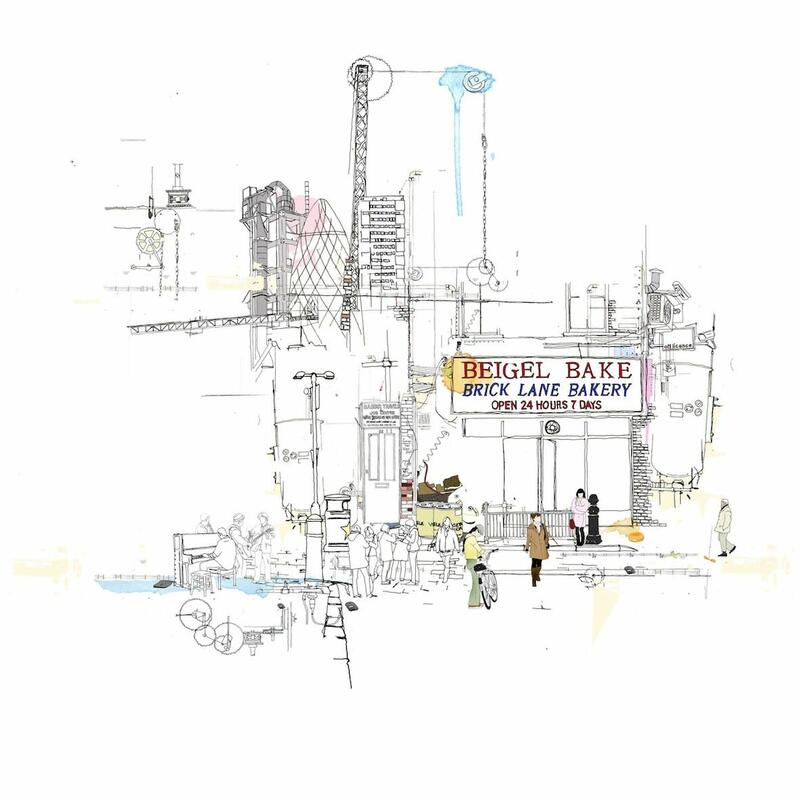 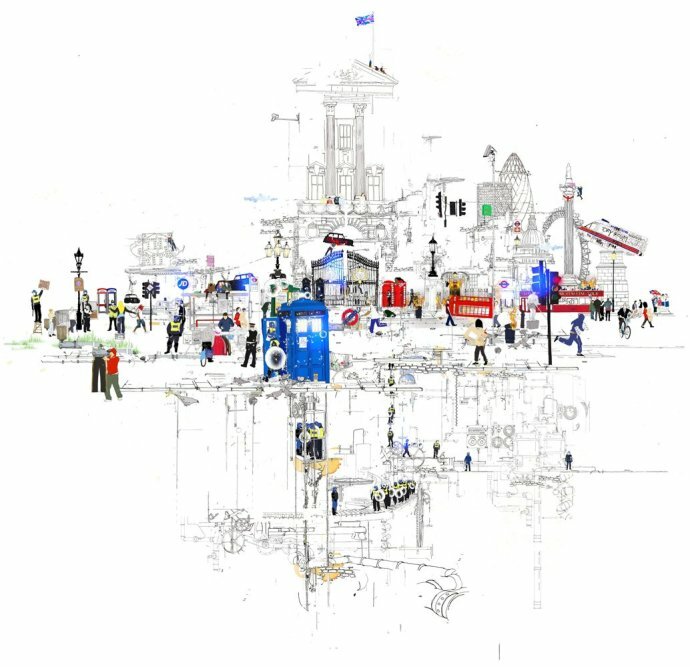 Inspired by the World's great cities, Jordan is a brilliant draughtsman who works in pencil, pen, watercolour and collage to create wonderfully rich large-scale images of Metropolitan existence. 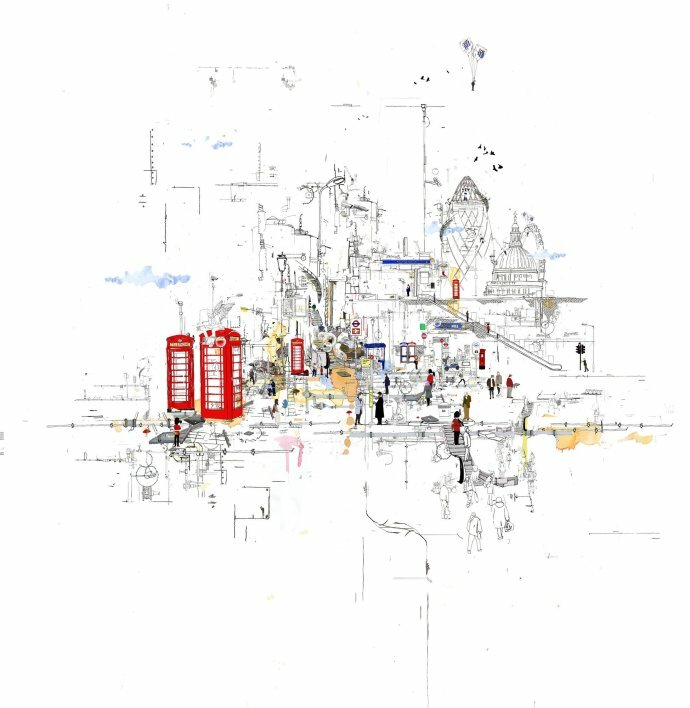 Drop in to see Laura Jordan's pop-up show and take part in an exclusive Q7A session with the artist herself. 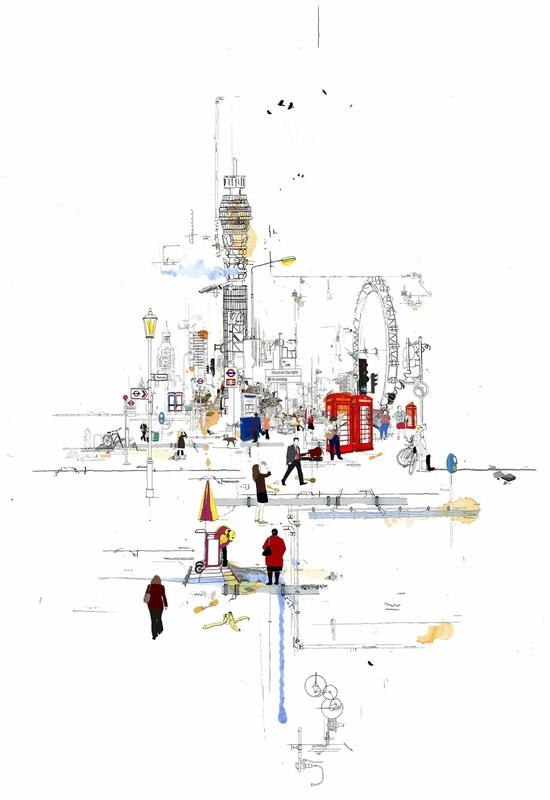 Come and join us at 2a Conway Street for two days of fun, art and prosecco.